It’s that time of year again – Christmas shopping time! For those of you who begin tearing your hair out around about now, fear not: the team at Gifts and Games have come to your rescue! 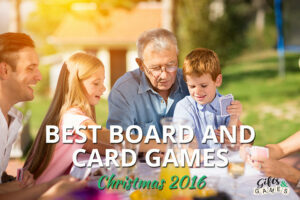 Board games and card games are a great gift idea as they encourage kids of all ages to unplug and play. They’re also ideal for taking on holiday, as they are portable and easily set up, wherever you’re staying. They’re also a good thing to pack when heading away, keeping everyone entertained on rainy days. We’ve put together a selection of the five hottest board games for Christmas 2016. So, sit back and relax – we’ve done all the hard work for you! Are you stuck for ideas on what to give the Star Wars fan in your life? Are you sick of treading on all the little Star Wars figurines or lego pieces? Worry no more – Gifts and Games have the perfect gift. Join forces with your favourite Star Wars characters and avoid the Dark Side! 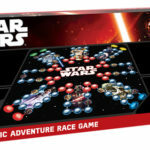 The Star Wars Galactic Adventure Race Game will appeal to fervent Star Wars fans of all ages, and takes 2-4 players. 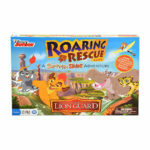 For fans of the Lion Guard series, this board game is a real winner! 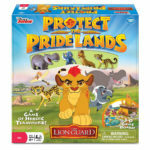 Players get to choose from their favourite Lion Guard characters and play to help friends of the Lion Guard get to Pride Rock. The real fun of this game is that the tiles on the board can flip and mix, changing the pathway to Pride Rock! This exciting game is suited for ages 3 and up and is for 2 -4 players. Do you dread your younger kids playing board games because they get too competitive, causing tantrums and fights? Here’s the board game for you! This is a board game with a difference in that the players must work as a team in order protect the Pridelands from foes. Working together as popular characters Kion, Beshte, Fuli and Bunga, players patrol the Pridelands and rescue other animals from peril. This exciting, 3D board game will dispel competitive tension and restore harmony to your home this Christmas and beyond! Weird sounding name, we know, but this is an award-winning card game, taking out the Mensa Award in 1999, and no wonder! 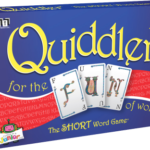 A true family game for players of all ages, Quiddler really gets your brain working by testing your spelling and vocabulary skills. It’s great for beginner spellers as well, because smaller words can score as well as bigger words! It’s a faster-paced game than Scrabble as it works in rounds, so it makes for an entertaining afternoon. An excellent game to encourage quieter moments on holiday! If you love Five Crowns, then you will love this card game! The ultimate in elimination games, Five Crowns Karma keeps you guessing, as no one ever knows who is going to win, right to the last card! the aim of this game is to get rid of all your cards. 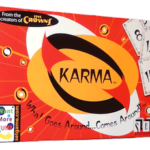 The four different Karma cards give this card game an unpredictability that will keep everyone entertained. To really spice up your Christmas day with a great party game, we recommend combining two packs of Five Crown Karma for up to 12 players. 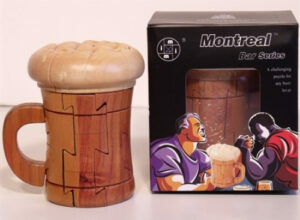 With Gifts and Games in your corner you need not worry about Christmas gift buying anymore! Whoever you’re buying Christmas gifts for, we are your one stop gifts and games shop. Browse our online store, pick out a selection of your favourites and get them delivered to your door – you don’t even have to leave the house. If you have questions about any of our games, contact our friendly team today!